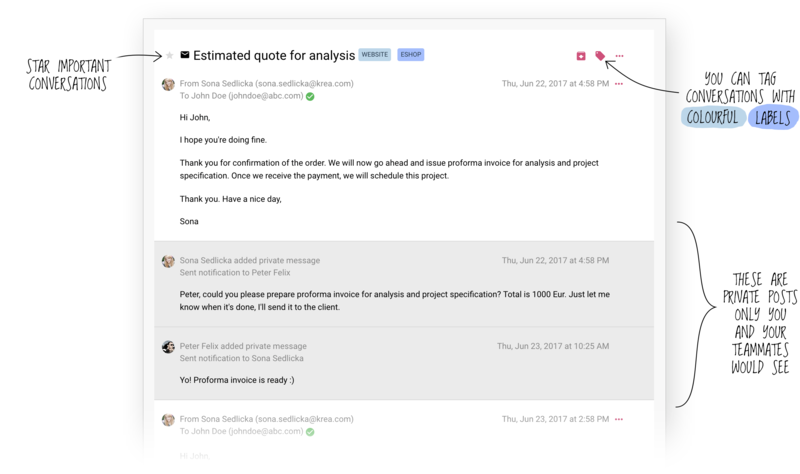 Sortio makes business communication transparent and organised. With its innovative features and easy-to-use interface, Sortio aims to become your new communication centre. 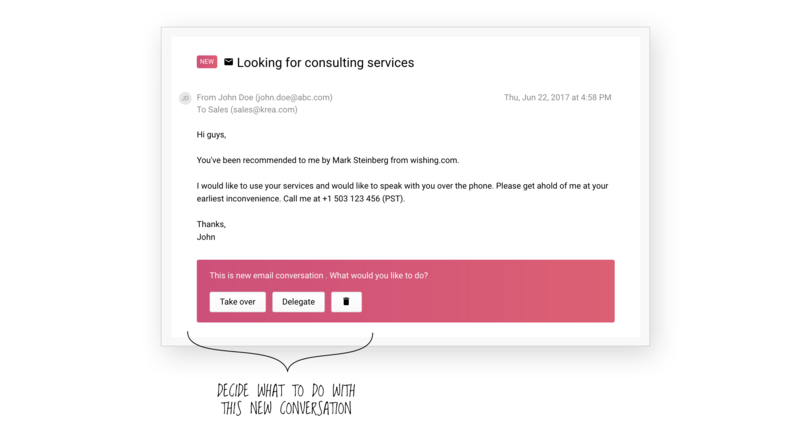 Sortio is more than a typical email client. To organise communication, you can use tags, star important conversations and file them to deals or projects. Additionally, you can use private messages to ask teammates for help — or to store quick notes (e.g. from a follow-up call) directly within the conversation. 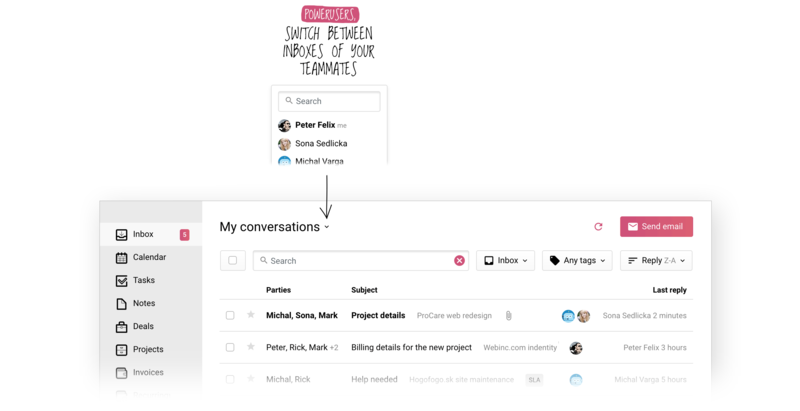 Sortio lets you delegate conversations. Whenever there's a brand new conversation in your inbox, you'll have two options — to keep it in your Inbox and take over the conversation OR move from your inbox by delegating it to one of your teammates. 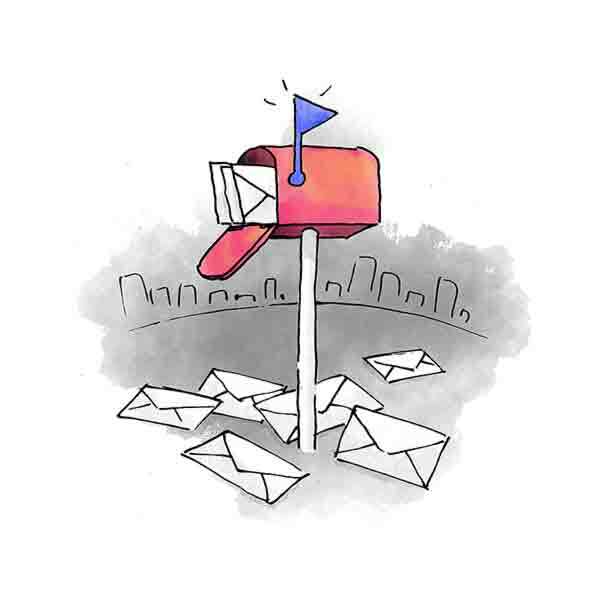 The choice is yours yet the goal is simple — to get to Inbox Zero. Sortio makes it easy to follow up with your clients. Want to follow up on your emails? 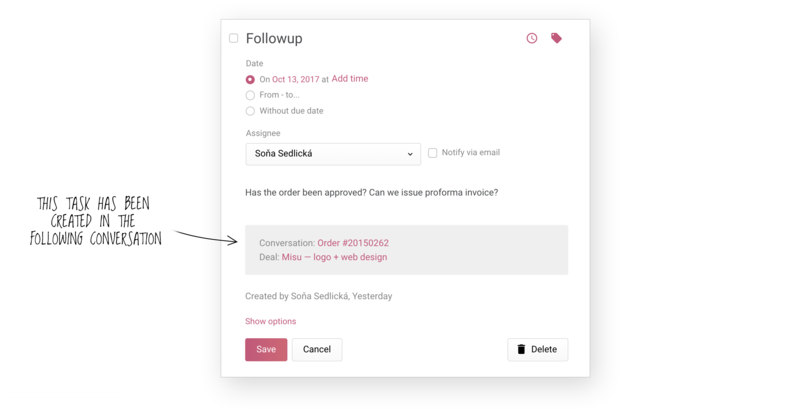 Sortio makes it easy to create a follow-up directly from a conversation. Once created, a follow-up task pointing back to the original conversation will be added to your calendar. So when you'll need to follow up, simply click to return to the conversation. Sortio gives you control over communication. Whenever you invite someone to a conversation, he will be automatically subscribed to notifications. You can review and easily update the list of subscribers at the bottom of each conversation. Additionally, you can control which teammates will see the conversation. Sortio lets you access all communication. As a power user with full access to all conversations, you can switch between your teammates' inboxes and oversee all of their communication. No more questions or forwarding emails. Sortio gives you email for work. When you join Sortio, you'll get your own @sort.io email address. Every email you send, forward, BCC or redirect to your @sort.io address will show up in your inbox.